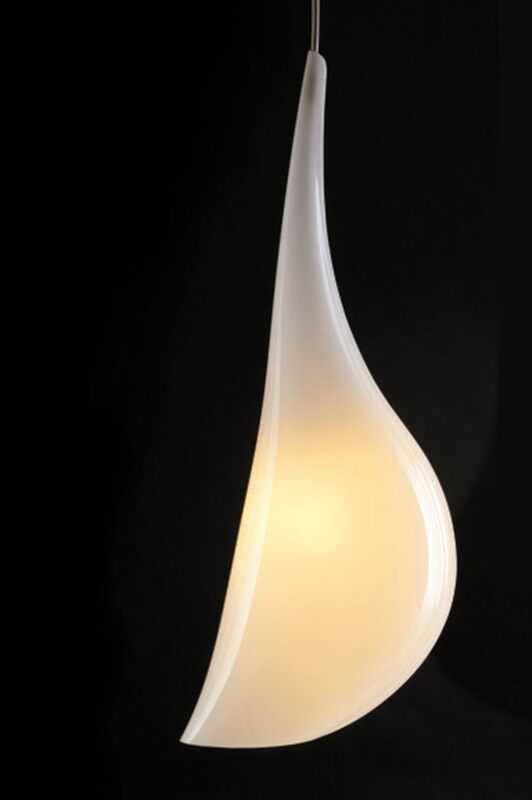 Designed by Robert Foster, the Droplet pendant light is reminiscent of a droplet of dew running down a blade of grass or the elegant shape of a butterfly chrysalis. Apart from its aesthetics elegance, the great advantages of this design is that it won’t gather insects over time, the globe is simple to change, and despite the beautiful appearance of blown glass, won’t shatter like glass. Perfect as single elements hanging over a table or bench, or as as groups of three or five hanging together on F!NKs’ custom made ceiling plates as major lighting statements in hall ways, stair wells or reception areas.